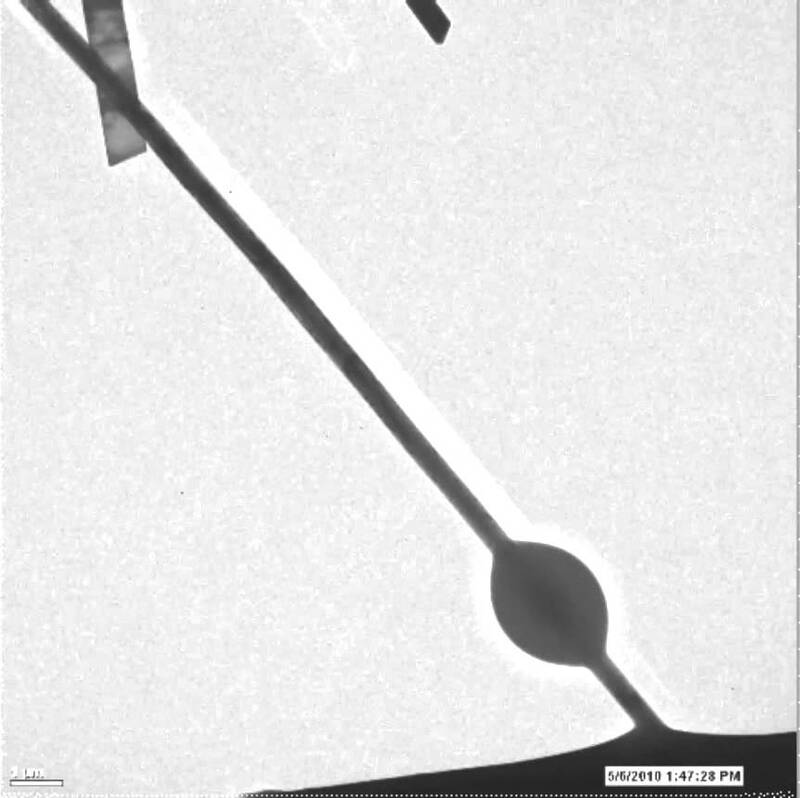 This fascinating video is from a paper titled “Nanowire liquid pumps” published in Nature Nanotechonology. It demonstrated that the outer surface of a nanowire is able to transport liquid. When liquid flows on the surface, it can flow as the thin film flows or the discrete beads. The former flow can be described by the well-known thin film instability while the latter is due to Rayleigh-Plateau Instability. In the thin-film instability, a minimum thickness of the thin film is achieved due to the repulsive intermolecular forces, which prevents the breakup of the thin film. This paper also shows that there is a critical film thickness of ∼10 nm separating two flow mechanisms.